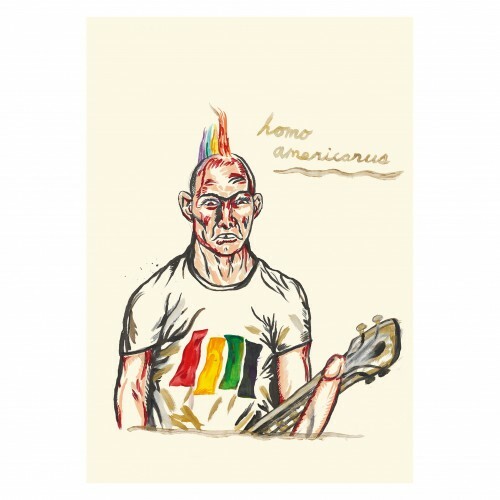 Published on the occasion of his major European traveling retrospective at the Deichtorhallen Hamburg – Sammlung Falckenberg, Raymond Pettibon: Homo Americanus presents over six hundred works from every part of the artist’s career, the majority of which have never been shown before. 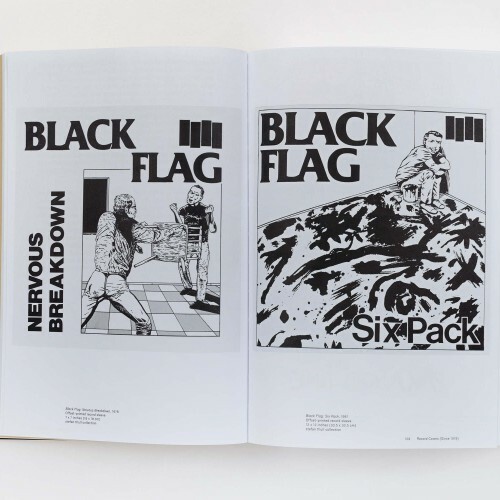 Arranged thematically in thirty-two chapters, this unique catalogue charts the appearance and development of the themes that have come to define Pettibon’s expansive oeuvre. Different sections are introduced with excerpts from interviews conducted with the artist, and are further discussed in a detailed appendix by curator Ulrich Loock. 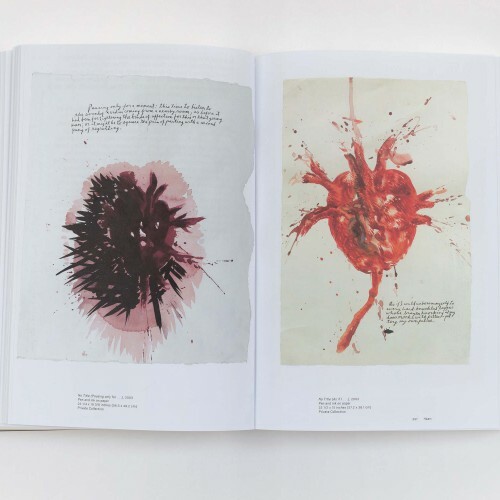 Beyond shedding valuable light on the genesis and cross-pollination of Pettibon’s thematic interests, this catalogue is the first to tackle the artist’s work as a whole—as a kind of hive mind of American culture whose various branches constantly address and reinterpret one another. 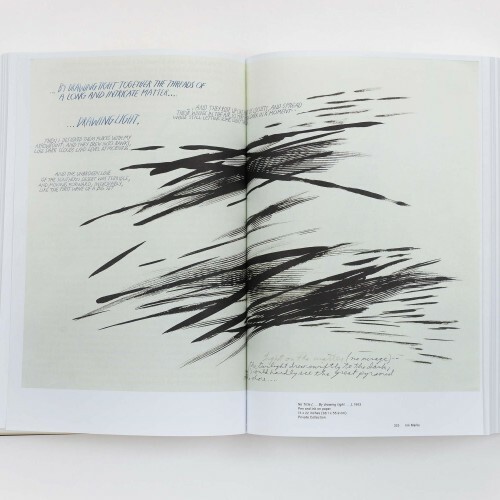 Of particular interest are Pettibon’s own readings of individual works in the book. 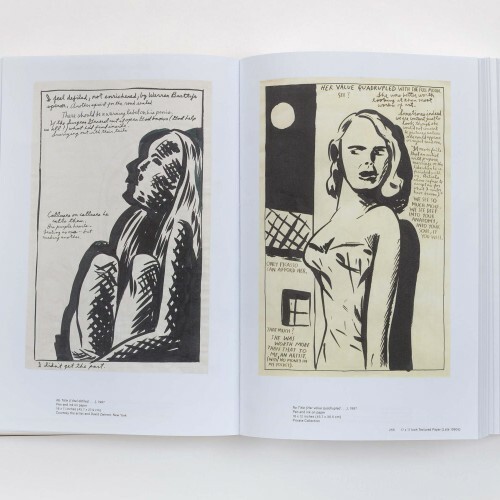 In excerpts paired with corresponding images, Pettibon guides readers through his complex, often meandering turns of thought; never condescending, they invite readers to enter more deeply into his thinking without sacrificing the intellectual rigor and sense of mystery that makes Pettibon’s work so compelling and challenging. The book includes a complete facsimile of his first artists’ book, Captive Chains—almost entirely unavailable for decades—in addition to numerous early drawings completed with his nephew, record covers, flyers, and sections dedicated to collages and drawings from the 1980s to today. 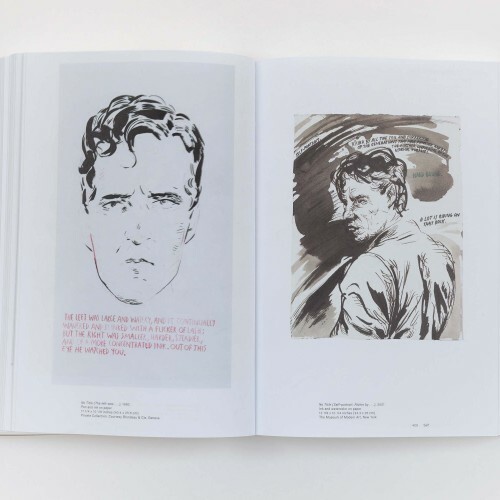 Also featured are biographical notes compiled by Lucas Zwirner, offering a nuanced, insightful reading of Pettibon’s history, whose early life and work is often simplified and categorically tied to punk rock, and instead underscores the complexities surrounding the artist’s long-standing relationship with art, literature, and American culture. 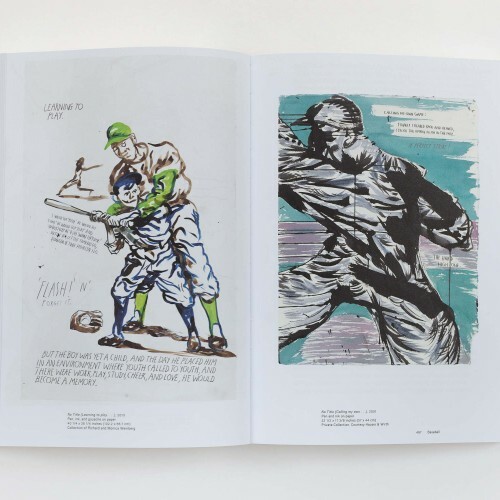 This unparalleled selection of Pettibon’s work is the definitive single volume for novices and experts alike.